Waiiitttt, what's that guy doing on my blog??? 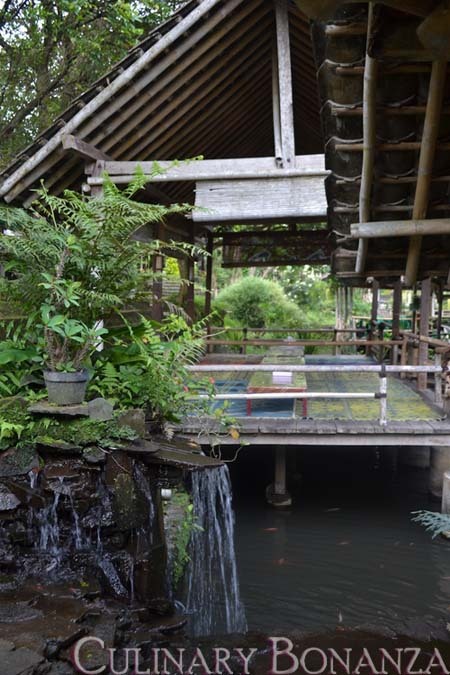 "Moro Lejar restaurat is up on the hills above Yogyajakarta. I hired a driver to take me to the Sultan Palace on business, where I interviewed a guide about the life of a Sultan for a documentary project. After my work was done, I asked the driver to recommend someplace unique for lunch. It took about 45 minutes to get there from the city center, but it was worth the drive. 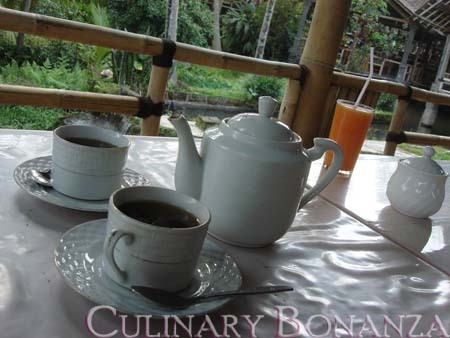 The restaurant is situated on gentle hills, in the forrest, surrounded by rice and banana and other plantations. They have built several large holding pools that collect water that naturally flows down from the mountain. The pools are filled with all manner of fish, including the ones you eat. Above these pools are built docks with roofs, allowing outdoor eating among the greenery, surrounded by fish. I ordered one dish of each of three fish, Gurami, Lele, and Emas. All were delicious and cooked to perfection but by far my favorite was Lele Goreng Kecil. It was very crispy, and you can eat the meat right off the sides of the fish, no bones in your mouth, leaving a perfect fish head and skeleton. The most important ingredient in fish is "fresh"! And this fish was indeed fresh. The accompanying tea, smoothie, rice, and vegetables were all wonderful, and everything was reasonably priced. 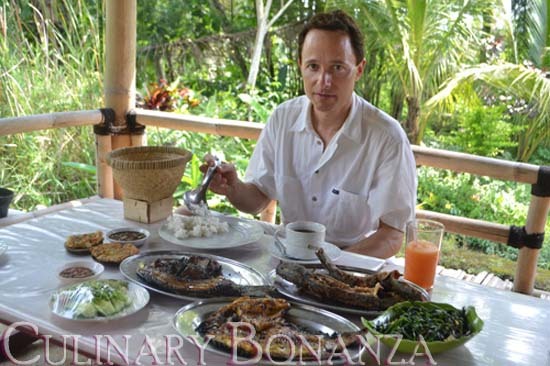 It was my favorite culinary experience while visiting Yogyakarta"
Thanks for sharing your story, Roger. I wish to visit this place oneday when I visit Yogya. *keep my fingers crossed.